Tap the CFBA to reach customers in your community! Get noticed by purchasing an ad to run throughout our 2018-2019 season in each performance’s printed program, which reaches more than 3000 people in the greater Fairfax area and surrounding communities. A premier performing arts organization, the City of Fairfax Band Association (CFBA) also is a great customer base for your local business. Our enthusiastic patrons include classical and jazz music lovers from across Northern Virginia and Washington. For more than 49 years they have enjoyed our large symphonic band, swing band, community band, and small ensembles. Our fans are your potential customers! We distribute printed concert programs with your ads at more than six performances per year, reaching hundreds of people at each concert. We also reach our community – and your market – through social media campaigns. As patrons or performers, CFBA people also support the greater Fairfax community – and its businesses – where they live and work. They share their recommendations with family and friends. Help Community Arts (And Your Business) Thrive: When you buy an ad in our printed concert program you’ll connect with an important segment of your market. You also will be supporting a key part of your community’s arts and culture. Help the arts thrive in our area and help us continue to build a community of arts enthusiasts that values your business. Art with fonts embedded or provided. Cover ads have full-bleed to edge. Submit ads with bleed and crops. All options include quarterly inclusion of social media mention. 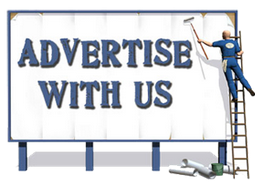 Contact us to discuss your ad and we will help you place it in our program!